Nine years ago last night, I was in my father’s hospital room with my mother, my sister and brother waiting for my dad to die. We’d been with him all day in the hospital and I’d gone home to get some sleep, but almost as soon as I walked in the door, my mother called to tell us to come back, that he wasn’t going to make it through the night. 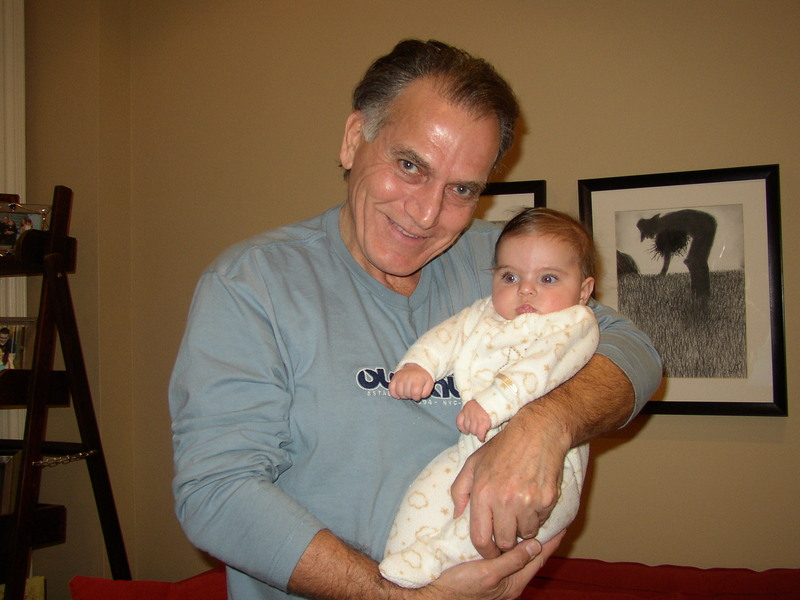 Before I went back, I remember telling my kids, then 8,8, and 5, that their Zaidie (the Yiddish term for grandfather) was very sick and that they wouldn’t be able to see him again. I didn’t know if that was the right thing to do, but I knew I didn’t want to come home the next day and shock them with the news that he’d died. I remember sitting on the kitchen floor, cradling my sobbing twins and their little sister, who was too young to really get it but understood that our family was about to change forever. I remember texting friends on the way to the hospital, telling them that we were near the end, but not really believing it myself. I remember telling him, in his final moments of lucidity, that we loved him, that we would be ok, that he could go. I remember asking him to watch over his grandchildren. I remember lying on a mattress on the floor of his hospital room, with my mother and my sister, while my brother sat at the foot of his bed and we listened to his breath become increasingly laboured. How we would know his last breath? We closed our eyes but couldn’t sleep, afraid not to be with him when he passed. And when he did finally pass, as the sun rose on the morning of September 22nd, we knew that missing it would have been impossible. It didn’t feel gentle or peaceful like we’d hoped. We learned that the death rattle is a real thing and that the transition from this world to the next can be horribly traumatic for those left behind. 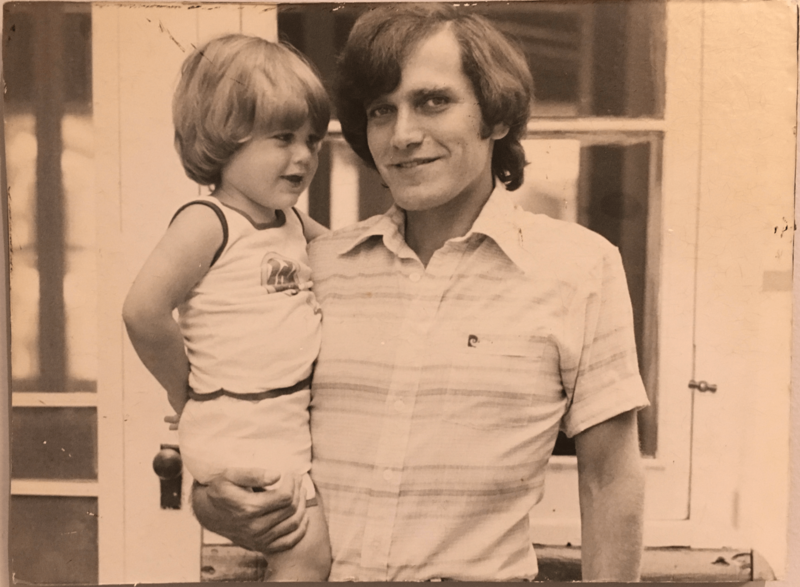 My dad was gone, and the pain was visceral. It was physical. Sharp and heavy. I arrived home from the hospital, lay on the couch and moaned, a wounded animal. How does one go on, I wondered, when they’ve lost someone they love so much? You go on, I learned, because life goes on. You have children and spouses, friends and jobs. The world doesn’t stop because your father died – even though it seemed absurd that people were doing their groceries, getting their hair done, going to the gym. Don’t you know that my dad died, I wanted to yell at the top of my lungs, over and over again. I trudged through those first weeks and months as though I was in quicksand, the weight of loss dragging me down. The firsts were awful – his birthday, holidays, Father’s Day, the first anniversary of his death. But as time went on, the feeling of grief changed. Even though my sister, brother and I had the same loss, we never really talked about our individual experiences. When I finally asked them both, nine years later, how their mourning has evolved, my sister captured exactly what I’d been feeling. For both of us, the moment of his death was so traumatic, it was difficult to get beyond that. We couldn’t take comfort in the happy memories because they were shrouded by his last moments. I had recurring nightmares that he’d been buried alive. When I thought of him, it was of his final days, when he was so sick and so weak and just wanted it to be over. Over the years, though, the sharp edges of grief have dulled. Those last hours in the hospital are a little fuzzier in our minds. As my brother expressed, we have gotten used to a “new normal”. And while we will never stop missing him, we all agree that there has been a shift. We mourn what he’s missing. We’re sad that he can’t see his 10 grandchildren grow and evolve, that he’s not there on the sidelines during their sports games, that he’ll miss graduations, celebrations, careers and weddings. That is the focus of our grief – on how much he’s missed and will miss. And how proud he would have been. We all do our best to keep his memory alive for our children. My nieces and nephews, even the littlest ones who never met him, know that Zaidie loved music and can identify The Tide is High and The Night Chicago Died as his favourite songs. We share stories and pictures. We tell our kids how proud he’d be of them and when we see the first star in the night sky, we say that it’s him, twinkling just for them. And just last week, our family was fortunate enough to have been able to dedicate a beautiful, peaceful space at our kids’ school in his memory. Even though he can’t cheer them through their academic careers, he has a presence there now. 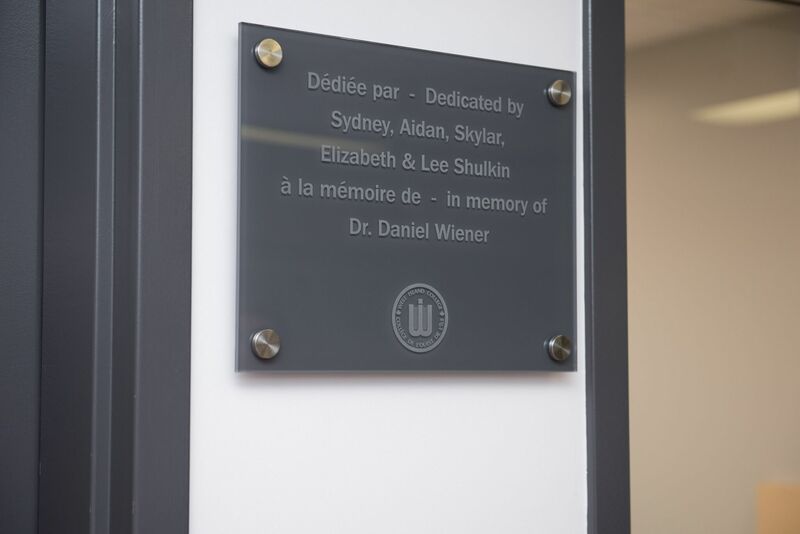 For us, it’s a way to maintain his legacy and keep his name and spirit alive for our children – and for the future generations who walk the hallways and ask who Dr. Daniel Wiener was. Previous articleQUIT MY JOB AND START OVER AT 55?